I like rally cars. 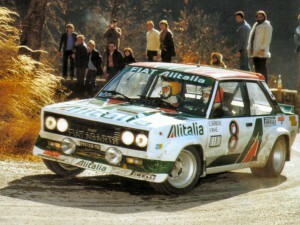 If you read my very first post you’ll see that the first toy I fell in love with was a little Fiat Abarth 131 rally car. Follow that with my post about a ridiculous fictitious spending spree and you would have learned that I hold the Lancia Stratos in high esteem. 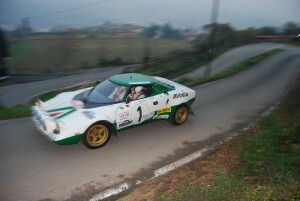 Add to this pair the Lancia 037 and you have my Italian trifecta of rally awesomeness. Nearly fifteen years ago the rally car bug hit my brother and I pretty hard. That specific holiday season was spent like most, home celebrating as a family. As an Italian family the term “celebrating” actually means “eating.” While sitting at the dining room table (I think on New Year’s Eve) we had the TV tuned to Speedvision (now just called Speed). As was (and still is) common during the holidays, many networks aired marathons and Speedvision’s interpretation of this holiday tradition was to air a marathon recapping the entire 1997 World Rally Championship season. We watched in awe as Tommi Mäkinen, Carlos Sainz and Colin McRae battled it out around the world. My impression was that the whole thing was just crazy. Crazy conditions, crazy speeds, and even crazier spectators. How else can you describe a motorsport in which hitting a sheep at 100 mph is a real possibility? The manufacturers’ race was a battle between Mitsubishi, Toyota and Subaru. 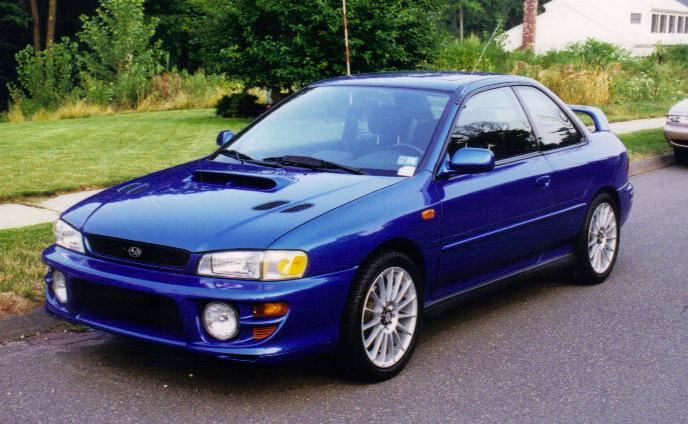 For some reason, my brother and I were automatically drawn to the rally blue Subaru Impreza of Colin McRae. We watched race after race. Eventually at some point (not sure if it was prompted by commercials) the conversation shifted towards our jealously of the fact that the European market had street versions of the rally cars. We then discussed the one variant we did have available to us. 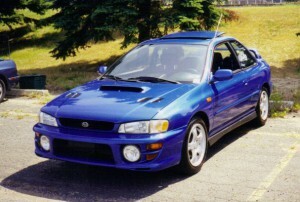 The Subaru Impreza 2.5 RS. It was nothing compared to turbo charged version overseas but was all we had. It had the right boy-racer look as it was available in the iconic rally blue with gold-colored 16-inch five-spoke alloy wheels and featured several external cues from its overseas brethren such as hood vents, a hood scoop, and a rally-inspired rear spoiler. At some point later in 1998 my brother traded in his pickup and bought a 1999 model. The naturally aspirated 2.5-liter wasn’t anything to write home about (especially by today’s standards), but the car was still a blast. 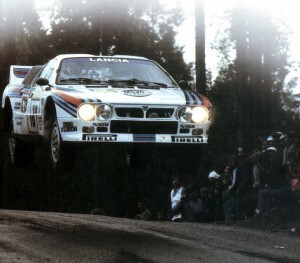 Most importantly, it was the launching pad for us becoming active in organized motorsport. We started autocrossing and rallying with local clubs. I even eventually started running the racing club sponsored by my university and my brother would bring the Subaru to our events. 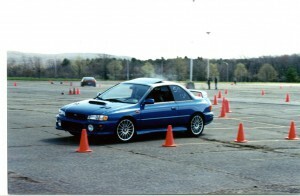 It was also a very cool way to navigate the Honda-ladden sport compact car scene that was erupting at that time. My brother spent a great deal of time modding that car (details to come). As the holidays approach I’ll tell you more about our little wannabe rally car. I’ll even detail our exploits in a Time-Speed-Distance (TSD) Road Rally and my brother’s record setting autocross accomplishment. 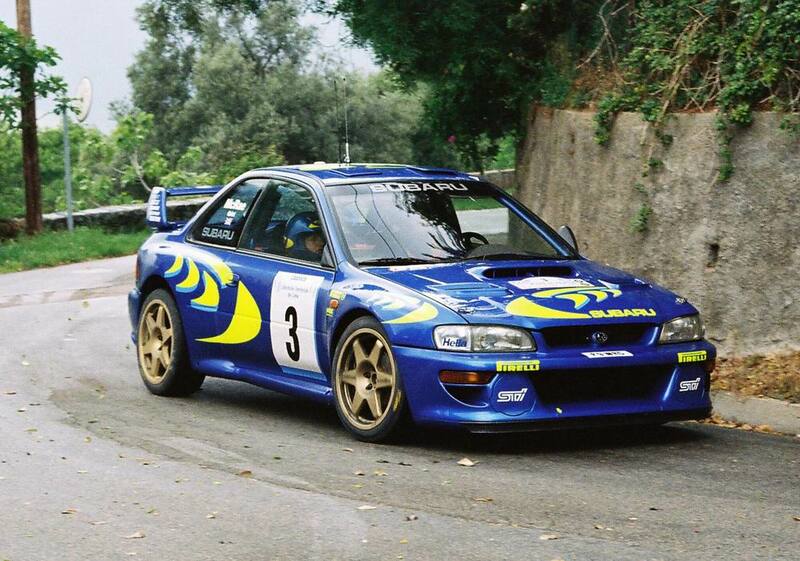 But for now just remember this: I always wanted to be a rally car driver…and still do.